The Kodak PRINTOMATIC merges the nostalgia of the classic Kodak Instamatic camera with digital instant-print technology to create a decidedly modern form. 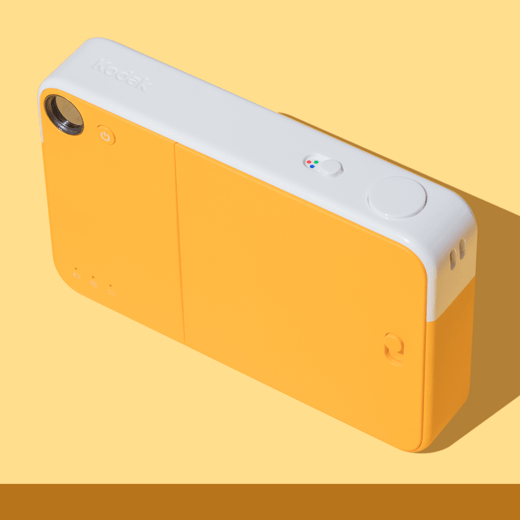 With its minimal controls and highly compact retro design, the product is meant to appeal to the Instagram generation, who may not have had the experience of taking a photo and instantly holding it in their hands. The 10-megapixel point-and-shoot PRINTOMATIC Camera instantly and automatically prints color or black and white photos directly from the camera body.